If your nonprofit is a membership organization, then you can stop hunting down members for their payments and carrying checks or cash to the bank. Instead, sit back and use Give for collecting membership dues online. Your membership organization might want to collect online membership dues instead of collecting dues in person or by check. You might even have an online membership structure already, but no way to process credit cards. One of the most important components to a membership organization for organizational health and sustainability is collecting membership dues. In the past, this has been a difficult task requiring envelopes, letters, tear-off coupons, stamps, and too much time and energy. 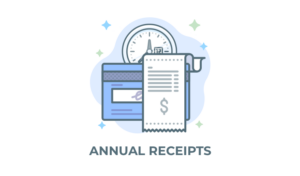 Give simplifies the process of collecting dues by enabling online registration at the same time as collecting membership dues. 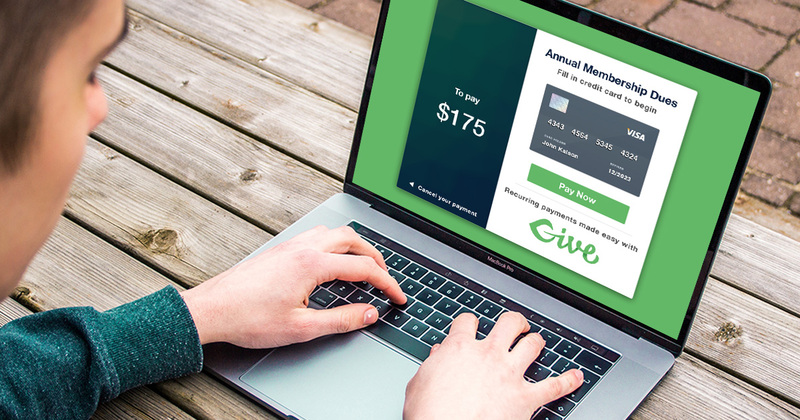 Using Give and the Recurring Donations add-on makes collecting membership dues easy for your organization and even easier for your members. Give has a powerful feature which enables you to have your members log in and/or register directly in the donation form. This ensures that the monies collected on this form are done only for those who are registered or registering for membership on your website. There are a few crucial steps involved to configure your Give form for membership dues. First, make sure your form supports the membership levels and recurring options available for your organization. Create a form with the membership amount set as the amount for the “donation.” If you have multiple levels of membership, use the “Multi-Level Donation” feature. Make sure you have “Custom Amount” disabled. 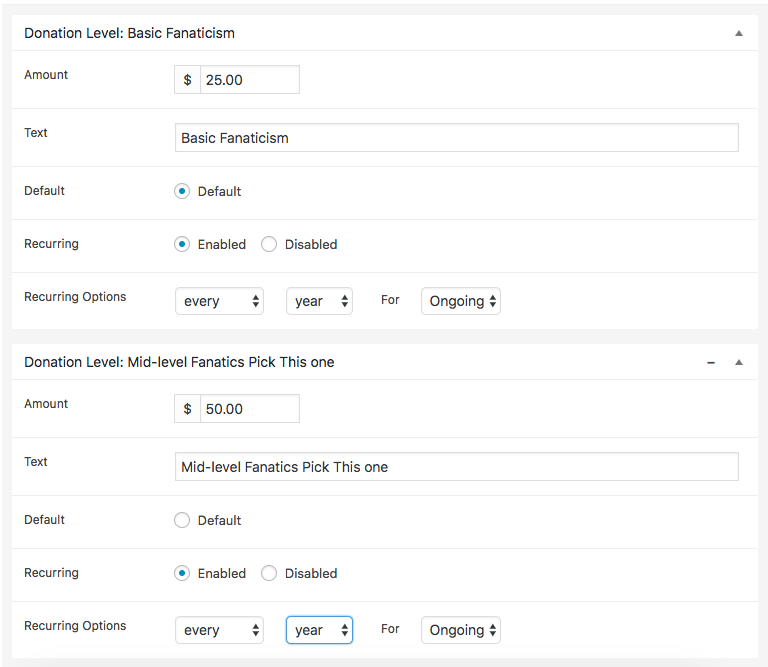 Set the “Recurring Donations” option to “Yes – Admin Defined” and then choose a frequency (monthly, yearly, etc.) for each level set. Your membership form should be intuitive. You want your members to understand explicitly what they are signing up for directly in the form. Give’s display options allow you to make these details clear to the donor. Select a “Display Style” (Buttons, Radio, or Dropdown). On the “Form Display” tab, make sure to change the language on the Submit Button to something other than “Donate Now.” Try “Register,” “Sign Up,” or something that resonates with your audience and your mission. In order for these payments to be associated with a user on your website, you need to leverage Give’s registration options. There are two important options to understand to configure this correctly: “Guest donations” and “Registration”. You can learn more about both in our documentation. Select “Disabled” for Guest Donations. Choose “Registration + Login” for Registration. Give forms support the addition of content above or below the forms. This helps you add crucial descriptions of the benefits and importance of membership for your organization. 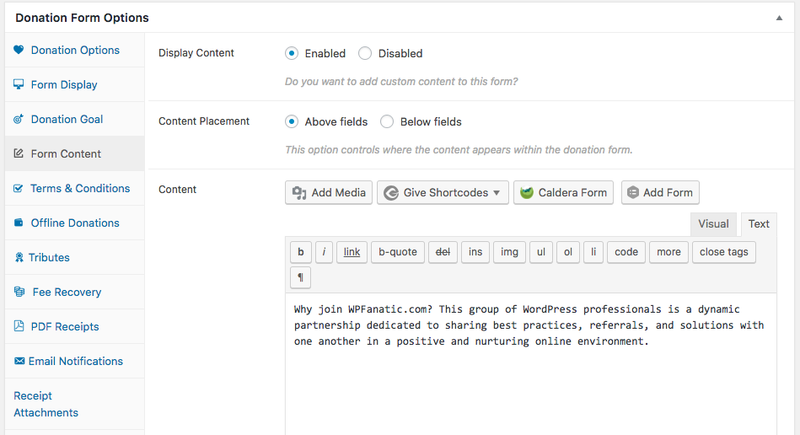 Use the “Form Content” area to write more about your organization at the top or bottom of the membership form. Tell people why they should join you. This is the area where you can shine! What are the benefits of your organization? What do the different levels of membership include? List any accreditations you have or certifications you offer. Who Should Get Notified of new Members Dues? Under the “Email Notifications” tab, take the time to craft a detailed receipt to welcome new members into membership. Don’t leave it as a donation receipt. Instead, take this opportunity to reiterate to them why you’re glad they are members, the benefits of their membership, as well as providing them a receipt for their membership dues. Membership retention is all about communication. Give has many different email integrations you can use to ensure that ever member who pays via this form is added to the appropriate newsletter. Make sure to add your mailing list to the form so that your members can opt-in to your notices and newsletters. 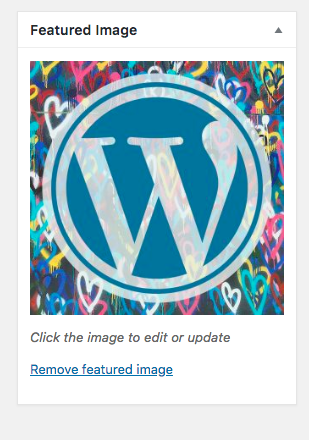 Add an image in the “Featured Image” area that will make the form “pop” with color and interest. Add some great text in the Give Single Form Sidebar Widget (this really helps with SEO, too!). Add the form to your navigation menu so that site visitors will find it easily. Your new online membership form is only useful if your members know how to find it! Make sure existing members know where to go to pay their membership dues. Include a link in your newsletters and any membership renewal notices you send out. Your members will be happy to pay online because it’s easier than mailing a check, and you’ll be happier because it’s so much easier than collecting dues and getting them deposited at the bank! Of course, you may still receive some dues payments by mail. 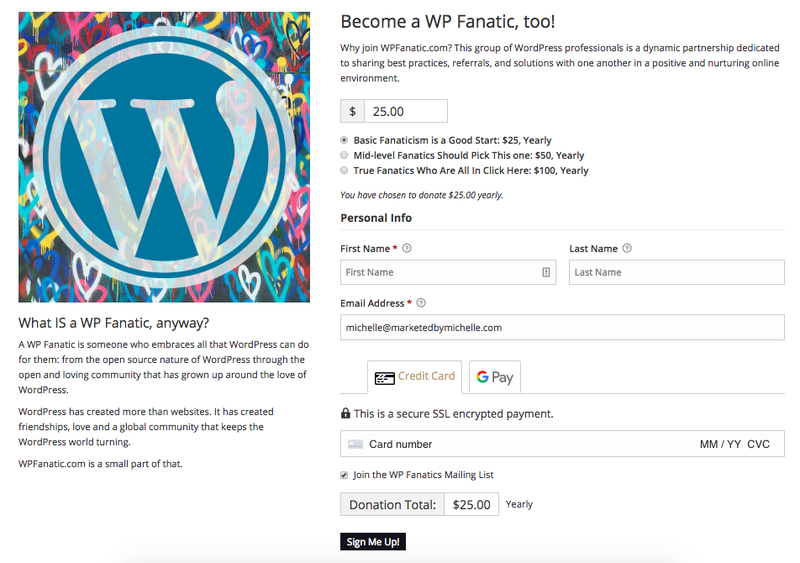 In order to make sure you have a way to note offline payments and keep all of your membership information in one place, you can also use the Manual Donations add-on. 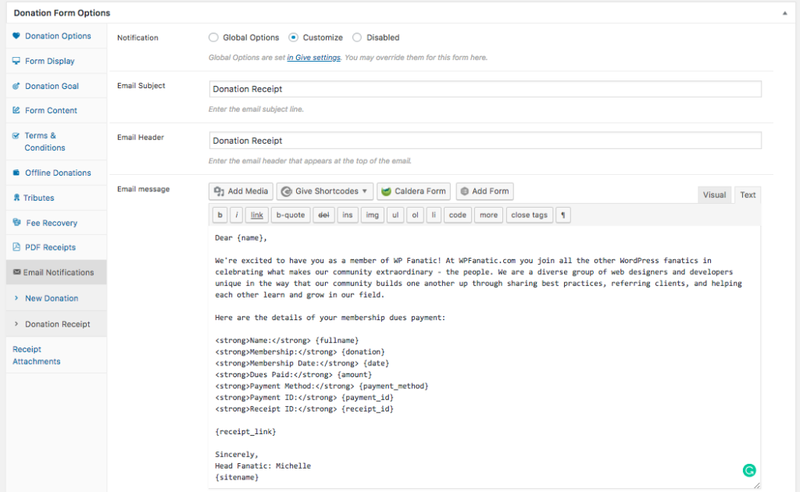 The Recurring Donations add-on is the key to automatically collecting membership dues. 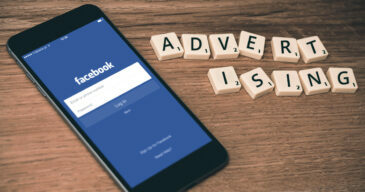 Give’s email marketing add-ons to allow your donors to opt-in and get added to your lists in MailChimp, AWeber, or Constant Contact. Enter all of your offline donations and payments into your donor database by using the Manual Donations add-on, or import your existing donor via our powerful Import tools. Keep all of your contributor information in one place this way. The easiest way to get all the power of Give for the best price is with the Plus Bundle, which gives you access to every add-on Give has to offer.